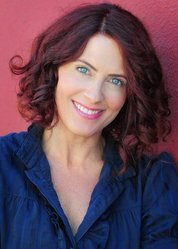 Vanessa Marshall is an American actress, singer, and model. She is most active in voice-over roles for animated series, films and video games. She began voice-over work after being discovered at a one-woman show. She co-founded Marsh-Kish Productions, a voice-over production company. She is best known for her role as Hera Syndulla in Star Wars: Rebels, Star Wars: Forces of Destiny TV Show, Lego Star Wars: The Freemaker Adventures, and the Star Wars: Rebels - Recon Missions Video Game. She has been the voice of characters in both the Marvel and DC Universes, her most popular roles being Gamora in the Guardians of the Galaxy TV Series, and Mary Jane Watson in The Spectacular Spider-Man. She is also is the voice multiple characters in Pig Goat Banana Cricket TV Series, Regular Show, Fish Hooks, Duck Dodgers, Powerpuff girls, Avengers Assemble, Sym-Bionic Titan, Batman: The Brave and The Bold, and Justice League TV Series. Vanessa has voiced characters in several video games, including Olga Gurluckovich in Metal Gear Solid & Metal Gear Solid 2, Wonder Woman in Infinite Crisis, Black Canary in Injustice 2, Poison Ivy & Catwoman in Lego Batman: The Videogame, and Nala in Kingdom Hearts II. She was also in Star Wars: The Old Republic, World of Warcraft: Legion, and Diablo III: Reaper of Souls.